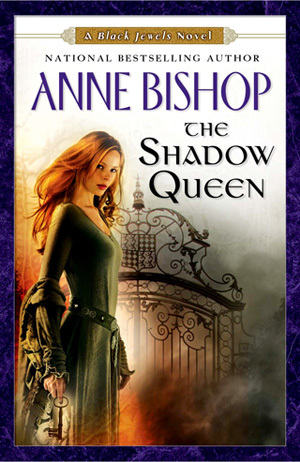 My writing-machine friend Brittany Maresh tagged me for the Book Cover challenge, and since I’ve been meaning to blog and haven’t written about book covers up here, it’s a fabulous excuse! 1. What are your 6 favorite book covers? I limited this list to books I really like, and narrowing it down was still a lot harder than I expected given I’m not a terribly visual person. 2. What’s your opinion of morphed covers (in a series the publisher changes the cover style in the middle of the series)? THIS DRIVES ME CRAZY. I love that the Black Jewels series kept that consistency, and I was SO UPSET when the cover design for the Lynburn Legacy books changed. I like having sets of books on my shelves, but unmatched sets make me twitch. So if the cover changes mid-series I’ll probably only purchase them in ebook format afterwards (I’m also not going to start buying hardbacks if the previous books only came out in paperback). On the other hand, I did like the change in style for Meljean Brooks’ Guardian series, but that was because the second style suited the tone of the series a lot better — and unless they redo the covers for the first two, I’m still going to stick with the ebook versions. 3. How important is the book cover? The book cover on its own won’t get me to buy a book anymore, because I’ve been burned too many times by beautiful covers on poorly executed stories. But they will cause me to pick up a book I might otherwise have ignored. If after finishing the sample I’m not sold on a book, normally that’s when I discard — but if it has a strong cover I sometimes buy and stick with it longer just in case (for instance, I am a sucker for Daniel Dos Santos covers, like the WARBREAKER one or the Mercy Thompson series, and have finished books like T.A. Pratt’s BLOOD MAGIC and Jay Lake’s GREEN). 4. What types of book covers draw you in? Going through all the covers that really spoke to me, I notice the main thing for me is that I like simplicity; covers with too much going on turn me off, because they distract from the focus. 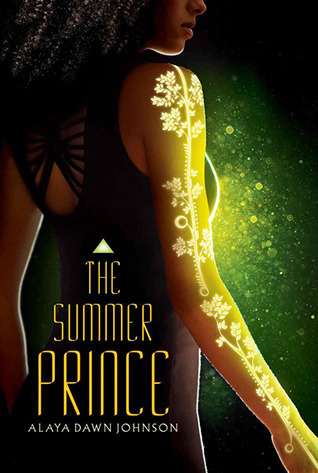 I usually prefer to have a main character featured prominently and more suggestive detail in the background (THE SUMMER PRINCE and THE SHADOW QUEEN both do this really well) than actual landscapes or objects. 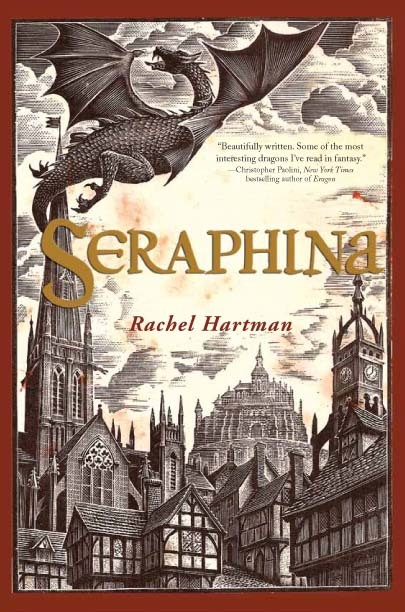 I want the cover to transport me to the mood of the book (though in SERAPHINA’s case, it’s also to the world of the book). I don’t want to be disappointed when a story doesn’t match the promise of its cover. 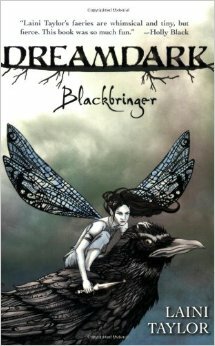 Font is a part of that: look at how the fonts in BLACKBRINGER’s cover add to that. 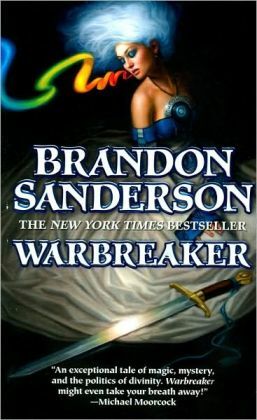 I’m bored of the standard fantasy archetypes of “high fantasy warrior with sword/cloak” and “urban fantasy heroine in leather and contortionist pose.” These don’t target me anymore, because they tell me that the stories inside are exactly like every other fantasy I’ve been reading for years. Also, I’m weary of too much darkness and grungy finishes on covers. I like color, I like bright colors, and I like colors set off by dark accents. I remember back in elementary school picking up the pastel editions of Eddings’ Belgariad series simply because it was so refreshing to see colors on the SFF shelves at Barnes & Noble that weren’t all dark (and this is coming from a woman whose wardrobe is mostly black, purple, navy, gray, and teal; you have to make covers stand out somehow). 5. What are your book cover pet peeves? Only putting male characters on the cover for a series with fighting because of the assumption that men won’t buy them otherwise. Inappropriately scantily clad women — especially when they’re in chain mail, scraps of leather, or depicted fighting. White-washing. NEVER DO THIS. 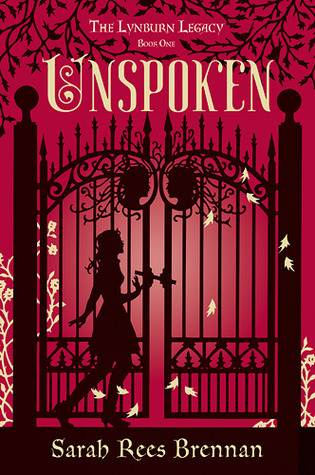 The UNSPOKEN cover may have received criticism for putting its heroine of Japanese and English descent in silhouette, or THE SUMMER PRINCE for cutting off the heroine’s face part-way, but those covers are both appropriate to the stories and not featuring their protagonists as inexplicably white for — I don’t even know why they do this sometimes, but there’s no good reason. (If you don’t know what I’m talking about, you can look up the controversy about Justine Larbalestier’s LIAR cover, or Cindy Pon and Malinda Lo’s work with Diversity in YA. Please refer to previous statements about excessive clutter and obsession with darkness. 6. Do you like short descriptions or long ones? This is relative, but for me the shorter the better. I find most summaries ineffective. Give me a character, the premise, the stakes, maybe an image and some key words, but any more than that doesn’t help me, and the attempts to summarize more often skew what the book is about. Most summaries, especially longer ones, turn me off of reading a book. The summary gets me to try a sample; it doesn’t sell me on the whole book, and when it tries to do that it fails. Tagging Blair MacGregor, Tam MacNeil, Aliza Greenblatt, Shveta Thakrar, and Edith Hope Bishop, in case any of you want to play! UPDATE: Also tagging Debra Jess and Alison McMahan! Pingback: Book Cover Challenge | Risk. Reward. Romance.